Yes, I am off to Israel again. Saturday night. And I will be back Friday morning. It is one of those quick visits. Yes, I will see my family on Sunday evening upon my arrival, but from Monday through Thursday night I will be busy fulfilling my responsibilities as chairman of Israel Bonds’ Rabbinic Cabinet. I will have the honor of representing a group of 32 Reform, Conservative and Orthodox rabbis from North America (4 from Rockland County!) for the last time as chairman, after serving the organization for three years. On Wednesday night, Rabbi Drill will preside over relieving me of my obligations and appointing a new chairperson. It is a joy to know that you share these trips with me through my daily summaries from Israel. On this trip, Rabbi Drill and I will alternate sharing daily reports Monday through Thursday via the OJC Rabbis’ blog. PLEASE NOTE THAT WHILE THIS BLOG POSTING IS BEING SHARED VIA OUR “CONSTANT CONTACT” NOTIFICATION SYSTEM, NEXT WEEK’S UPDATES WILL ONLY BE ACCESSIBLE VIA THE OJC BLOG! SO PLEASE CLICK HERE TO SUBSCRIBE TO OUR BLOG (IF YOU ARE RECEIVING THIS VIA E-MAIL) AND TO RECEIVE OUR DAILY REPORTS! These last three years have afforded me a wonderful opportunity to get to know Rabbinic colleagues and laypeople who are passionate about Israel. I have gained new insights into, and appreciation for, the many advancements made within Israeli society in the areas of science, technology, and medicine. I have met so many people who have played major roles in Israel’s economic successes and who serve as Israel’s exporters of hope. I have come to appreciate why so many countries, institutions, businesses and individuals today are choosing to invest in Israel. It is one of the safest, and most rewarding, investments that can be made. It is certainly satisfying to know that your money is earning money; it is even more satisfying to know that you are owning–or giving someone else the gift of owning–a piece of the dream-come-true we call Israel. I want to thank you for supporting and sharing this passion. I look forward to sharing more opportunities to renew these bonds. Perhaps you’ll join Rabbi Drill and me on Sunday morning, February 9 (you’ll pardon me if I am a bit jet-lagged!) as Rockland County Women’s Division of Israel Bonds celebrates its annual Premiere Brunch. Tamar Weinger will be our honoree, and our own Janice Wertheim is being celebrated as JCC Rockland’s honoree. 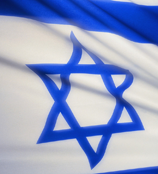 Contact our Israel Bonds office at 800-724-0748 if you want to attend, to invest, or to give the gift of a bond! Congratulations to them, their families, and to us all for what we have been able to build together. Yasher Koach and Shabbat Shalom!